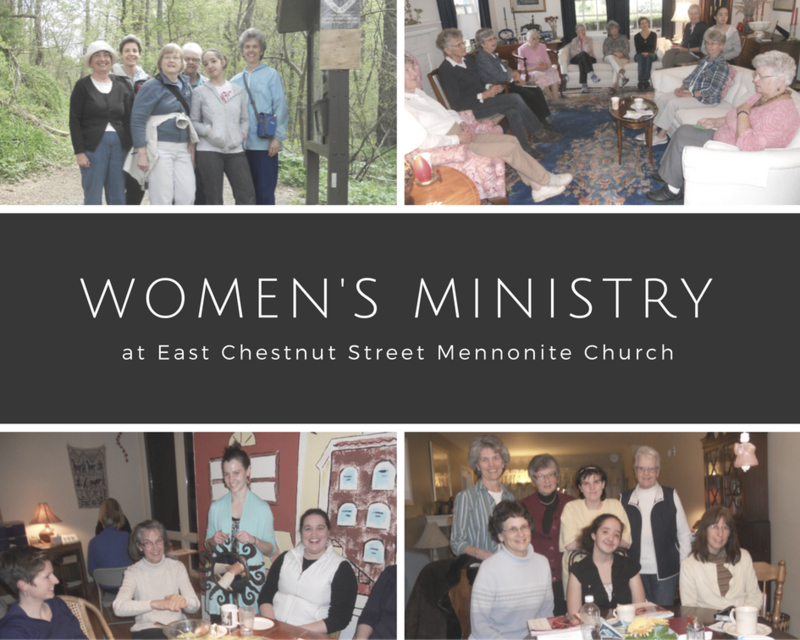 The goals of our ECSMC women’s ministry are to grow in love for God and for one another by companioning each other through all seasons of life. Offerings from year to year vary, but may include Bible studies, women’s teas, and service activities. A long-time and beloved tradition of ECSMC women is to gather each spring for a time of retreat to get to know one another better and to experience spiritual refreshment. Our 2018 retreat will be held on March 17 from 9:00am to 5:00pm at The Welcoming Place in Akron, PA.